Treat yourself with the finest floor lamp of our range. 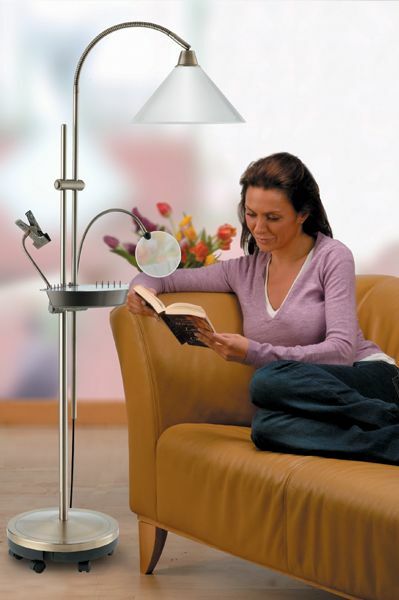 The Ultimate Floor lamp brings together 20 years of experience designing high quality lamps with the best materials. 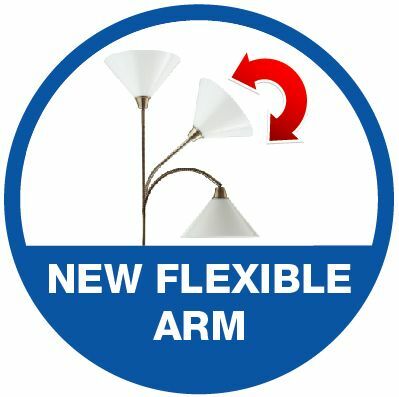 This new model has an improved flexible gooseneck arm so you can position the light even better or use the lamp as an up-light. With the included 6 optional wheels you can easily move the lamp between rooms and the 20w Daylight bulb gives you the best full spectrum light available so you can see the true colours and work for hours in optimal comfort. 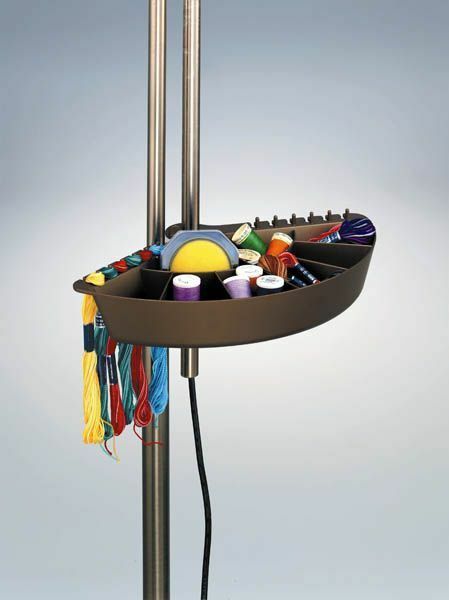 The lamp is fully height adjustable and comes with 3 unique removable accessories; a tray (with dust cover) to keep your bits and bobs organised, a chart holder for your patterns and a magnifier to help you see the intricate details. With the accessories removed, this lamp with high-quality antique finish will fit any interior. 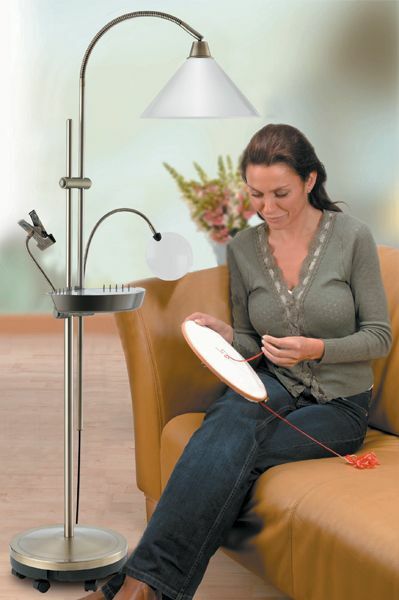 If you are serious about your hobby and love colours the way we do, this is the best lamp you will ever work with.